When the structure of a tooth is compromised, you may need more than a filling. Often, your dentist will restore the stability, appearance, and function of the tooth with a dental crown. 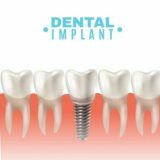 Also referred to as a cap, a dental crown will fit securely over the remaining tooth structure, covering the entire area above the gum line. All-ceramic crowns are generally good for any teeth visible when you smile so that no one will notice your restoration. 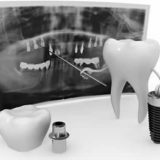 Porcelain-fused-to-metal (PFM) crowns are employed in areas where the crown will be visible but more strength is needed. Gold crowns are often chosen for back molars, which must withstand strong chewing forces. Usually, your dentist will determine the type of crown to place based on location and chewing pressure. If you need a crown, your dentist will first remove the damaged tissue and reshape the tooth. Then, the doctor will take an impression of the tooth for the dental lab that will fabricate your new crown. At this first appointment, your dentist will also create temporary that you will wear until the permanent restoration arrives from the lab. Once the dental office receives the final product, you will return for permanent placement. Although it’s a nice idea, your crown won’t last forever. With good home care and regular dental visits, the restoration should last 10 to 15 years. Do I have to have a root canal if I need a crown? Not necessarily. You will only need root canal therapy if the pulp has been damaged and caused an infection to build up inside the tooth. When you have a root canal, however, you will need a crown to stabilize and protect that tooth after the procedure.